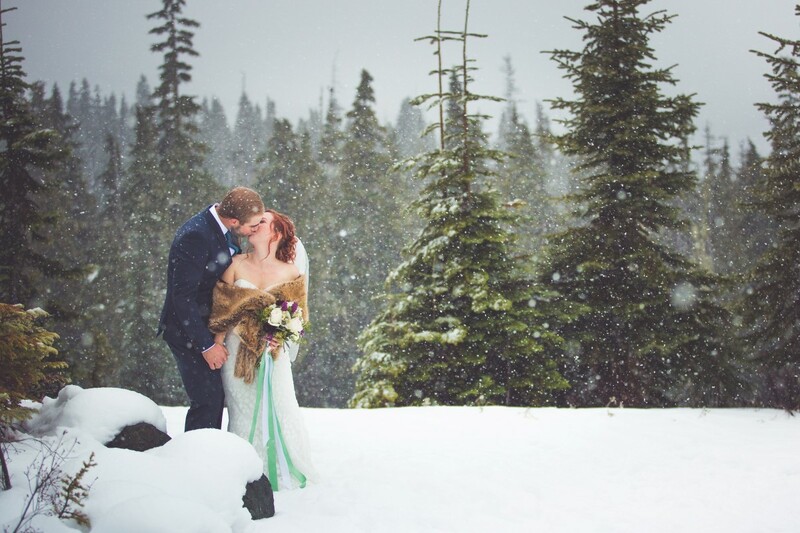 Winter weddings are so lovely and Jenelle & Lonnie are the perfect couple for this winterscape. Jenelle is a planner extraordinaire with impeccable attention to detail. 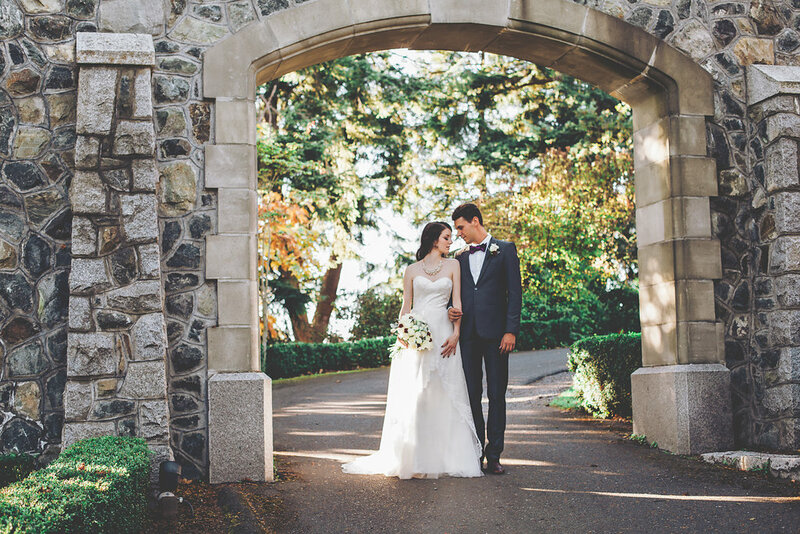 We loved the many touches that made this wedding so warm and inviting. 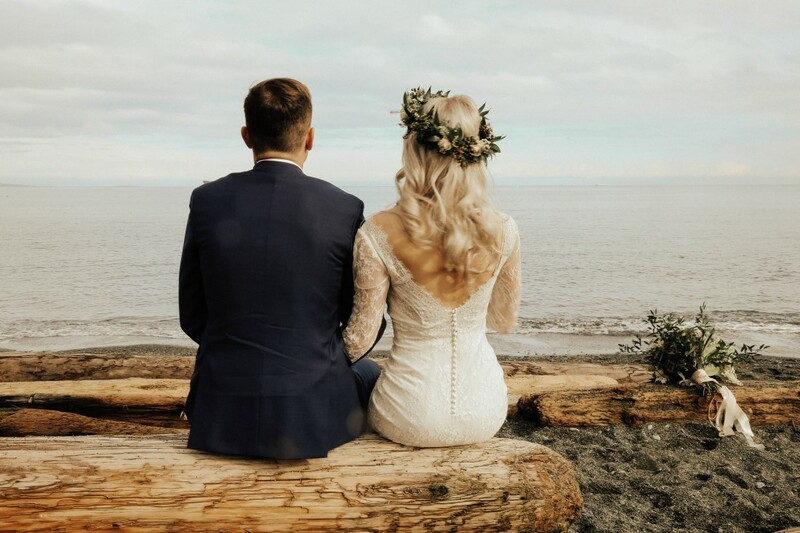 Mount Washington on Vancouver Island showcases the incredible snow covered mountain top views that surround the couple and their guests. They did have to deal with a tiny bit more snow than expected (20 cm!) but it seems to have just made the day more special. Let’s start with some of the details that made us fall in love with these nuptials. Warm blankets in a basket for cold guests, a completely unplugged ceremony, a sign stating venue elevation and lots of signage. Our fav is the ode to Lonnie’s golfing hobby where guests had to sink a putt before the couple would kiss! Jenelle confesses that she originally had a summer wedding planned. Then she really looked at Mount Washington and fell in love with the open beams and windows. So she adjusted her plan to a winter wedding! Eucalyptus and mercury votive in black lanterns adorned the long tables and provided a warm and cozy feel. We love the Enzoani lace gown covered in a leaves motif (eucalyptus leaves!) and the faux fur stole is perfect! The pearl bracelet is from Jenelle’s mother – who bought it 33 years earlier in Hawaii while on her honeymoon. Jenelle planned the colours carefully for the wedding party as she did not want a ‘christmasy’ look but a winter wedding. A real hit were the groomsmen’s sweaters! Jenelle + Lonnie exchanged wedding gifts which were so personal. Lonnie gave seven gifts – one for each year they had been together and each representing a milestone in their relationship. Jenelle gave Lonnie leather golf head covers customized with the wedding date. For more winter wedding inspiration! This stunning whimsical bohemian style shoot was envisioned by Rebecca of Rivkah Photography.